Provide comfort for the family of Connie Dubois with a meaningful gesture of sympathy. In the twinkling of an eye, God took Connie home…Mrs. 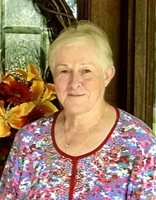 Connie Nadine Hopkins Dubois, age 72, of Dry Prong, Louisiana, entered eternal rest on Saturday, March 9, 2019 at Christus St. Frances Cabrini Hospital in Alexandria, surrounded by her loving family. Funeral services for Mrs. Dubois will be held at 2:00 p.m. on Wednesday, March 13, 2019 at Gallagher Funeral Home in Ball, Louisiana, with Reverend’s Joe Dugas and Greg Griffin officiating. Burial will follow in Colfax cemetery. Visitation for Mrs. Dubois will be at the funeral home on Wednesday from 11:00 a.m. until time of service. Mrs. Dubois was a Christian, a loving Wife, Mother, Grandmother, Sister, Aunt and Cancer survivor who always thought of others before herself. Connie loved to cook and was known for her pies, cakes and cookies. She had a serving heart and was over-protective of her family. Connie believed in and supported her husband. She babied him, was willing to move when her husband’s company needed him too and stood by him in hard and troubled times. Connie always managed the household, was very organized and was the planner and preparer of everything..when it came to her family, she was not afraid to take a stand. She will be missed by her loving family and many friends. Mrs. Dubois was preceded in death by her parents, George and Janie Hopkins and a sister, Lily “Lily-Bell” Woodley. She is survived by her loving husband of 45 years, Elray Dubois of Dry Prong, a daughter, Courtney Dubois of Brentwood, TN; a son, Thomas H. Hall (Sandra) of Port Orange, Fl; two grandchildren, Raymond W. Hall and Allison R. Hall; two sisters, Betty A. Gilcrease of Colfax and Juanita Simon (Joseph) of Baton Rouge; a brother, Donald Hopkins (Peggy) of Frankston, Tx and a brother-in-law, Owen Dubois (Margie) of Colfax and a host of nieces, nephews, cousins and friends. Family request in lieu of flowers, memorials may be made to Summerfield Baptist Church Building Fund, 171 Summerfield Road, Colfax, Louisiana 71417. Friends may post online messages of condolence for the Dubois family by visiting www.gallagherfh.com.